Here we are bracing for another severe tropical storm that has no business rearing its ugly head in the northeast. 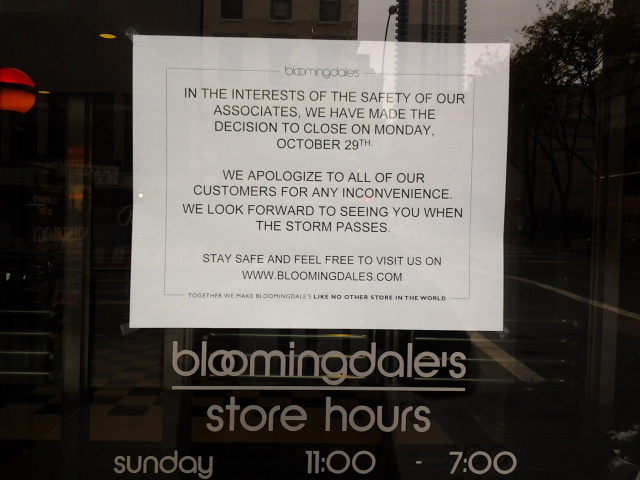 In east midtown, things aren't supposed to get bad until about 4 or even 6pm Monday. But yesterday, an evacuation was already ordered for Zone A, which include several low-lying areas in all the boroughs. MTA's subway and bus system have been closed since yesterday at 7pm. Schools were closed today. And as the news tells us, so is Starbucks. Most stores and restaurants were, too. There were a small handful of businesses open. 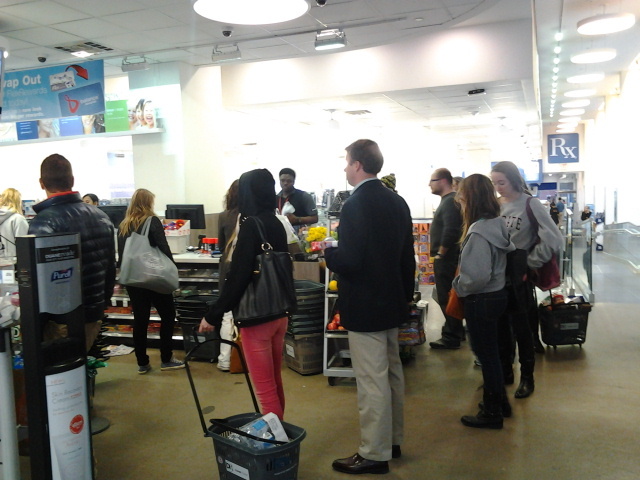 The Duane Reade at the corner of 57th St and Third Ave was still going strong earlier today, and gave procrastinators time to gather last-minute items. Whatever was left from the shopping rampage day before, at least. Monday morning and early afternoon were excellent times to get outside if you don't live in Zone A. We decided to take our daughter out for a walk before the rain and winds picked up. We're glad we did, because it sounds like we're going to cooped up in our apartment for a couple of days. 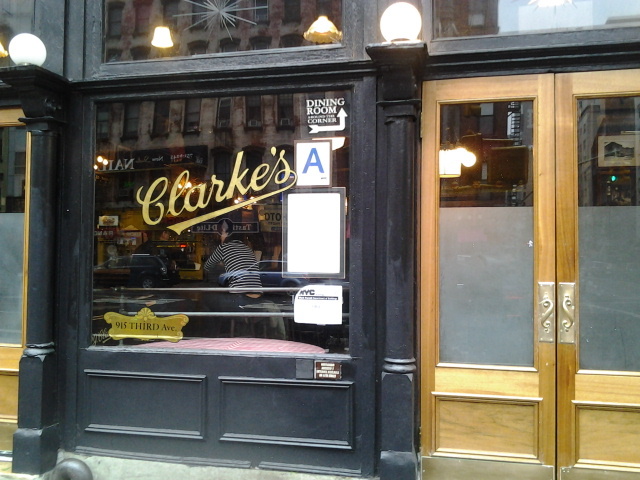 She enjoyed looking at fake Christmas trees at Home Depot, walking up down Lexington and Third Avenues, and we even stumbled upon a pleasant surprise: PJ Clarke's, the legendary burger joint, was open today hour by hour, making this hurricane day a little more bearable.